Are you ready to get that brighter smile you've always dreamed of? Then now's the time to check out NEW Colgate® Optic White ® Stain-Less White™ Toothpaste. With Valentine's Day just around there corner there's no better time to start thinking smart so you can show off those pearly whites with your big smile. 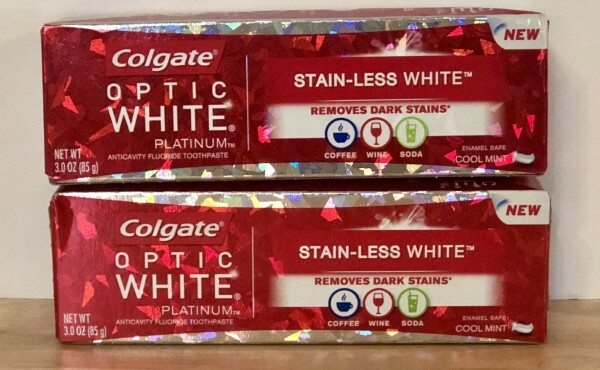 • Colgate® Optic White ® Stain-Less White™ Toothpaste helps remove those unwanted dark stains caused by coffee, wine & soda, with continued use. It starts working in 3 days. • This formula is professionally designed with Hydrogen Peroxide for deep set stains removal. • In addition to being safe for daily use, this product protects your enamel and contains anti-cavity fluoride protection.